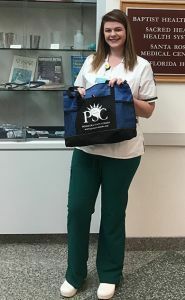 Nursing student Joanna Painter was the first Pirate to respond after she put her treasure-hunting skills to work. She knows her Zingers and correctly identified Miller’s Ale House as the site of the bounty. 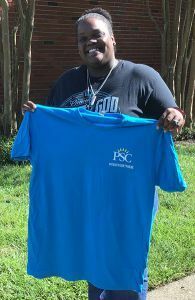 Painter is this month’s grand prize winner of the treasure. 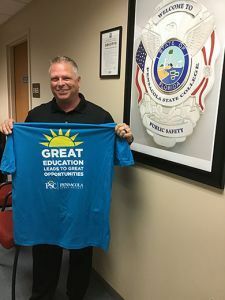 T-shirts went to Assistant Police Chief Shane Brannock in the Pensacola State Public Safety Office and Human Resources’ Verona Hutchinson, a work-study student majoring in business and management. They are enjoying the thrill of victory rather than the agony of Lafitte! Check out this week’s clue for your own chance to win the Pirate’s Treasure! !